I have had my 1947 8N since about 1980. It is stock in almost every regard. Its heaviest use since I've had it was haying and garden preparation. Runs nicely. It is missing the "Proof" or hour meter and headlights. Did all 8 N's have both? Where were they located (switch for the lights)? I saw a photo a few days ago with a (maybe) N broken in half in a traffic mishap. If anyone is interested, I'll try and post a link. Tim, tell me about the grease fitting on the steering. 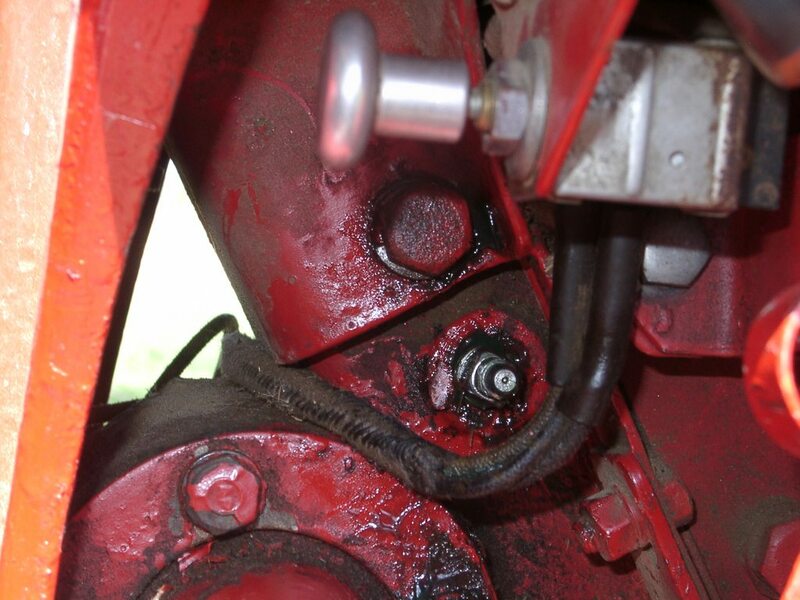 Here is a link if I do it right to a broken tractor. A Ford? Ferguson TO series. There is no way that photo is accurate. The forces required to separate the transmission housing would probably turn that car into a pancake. If you look carefully, you will notice that the tractor front end is out of scale in regards to the car behind. Somebody did a good fake. 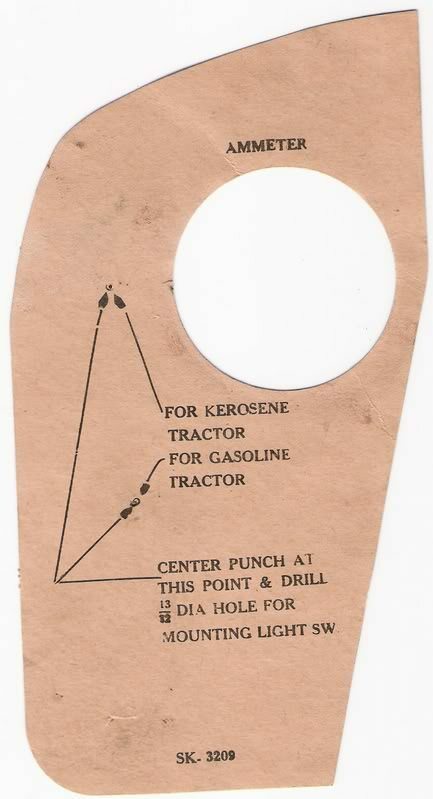 As mentioned already, lighting kits for all N-SERIES tractors were always dealer optional accessories. Lights were never OEM factory installed until the 800 Series models and then only headlights. Early 8N light kits had a bracket which mounted on and under the voltage regulator, lower RH dash, for the light switch. Later 8N light kits had a template to drill a hole in the LH dash near the ammeter for the switch. I've seen switches in just about every place on the dash, many near the key switch as a lot farmers bought the kits and installed themselves rather than have the dealer do it. 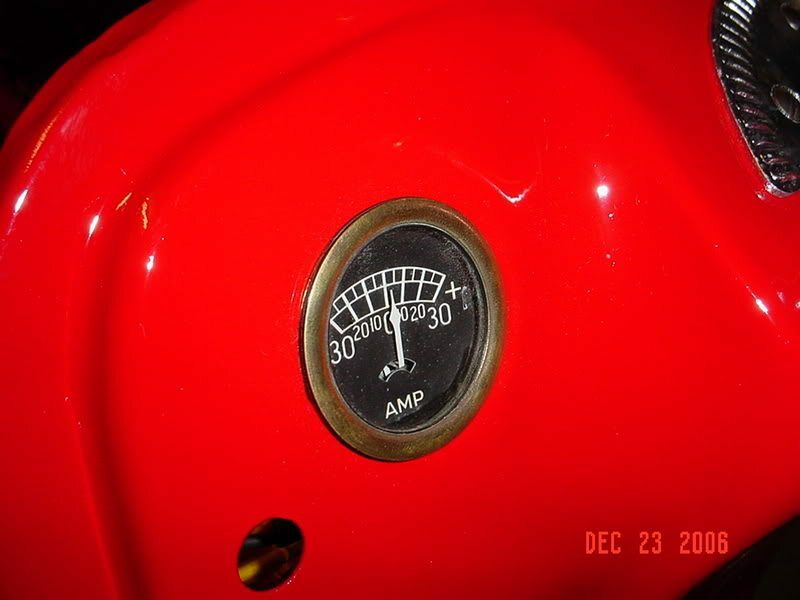 The Proofmeter was being introduced in late 1949 -some had the new dash with the cutout but no meter installed yet. Many changes occurred in late 1949 and early 1950. By serial number 263,833 the Proofmeter, the new governor, the new 20A generator, the angle mount distributor, new (late) steering box, and more had been introduced. Lighting kits contained two headlights, the TAURUS taillight including the license plate bracket, two fender brackets, light switch, fuse, winged medallions, and all the wiring. In 1949 the TAURUS taillight, used since 1939, was replaced with the new DUOLAMP style; the Ford Tract-O-Lite tear-drop shell headlights were replaced with the round shell style; the winged medallion mounting brackets were replaced with simple round cup mounting brackets; the light switch was moved to the LH Dash panel; and the new 8N15500 Implement Lamp (worklight) was introduced as an option. I have OEM/ORIGINAL TAURUS Taillights, FORD/CM HALL Worklights, and Tear Drop headlights restored and for sale -my email is open. Headlights were a dealer installed option which is why you see a lot of N tractors without them. You can still get original style headlights and taillights for 8Ns. The proof meter didn't come out until mid 1950. Darned if that's not an easy answer! I found the headlight switch right where it was supposed to be and where I don't remember ever looking at it. The wires were cut off close, the knob was missing and 70 years of oil mist, dust and chaff pretty well hid it. Given how tough these machines are, I was actually surprised to find the switch does not work and the fuse is blown. I have never been tempted to use it after dark anyway.